I loved this book, altho’ it is a bit too long. It was so good I may have to read one of her Harry Potter books. The length was fine by me. 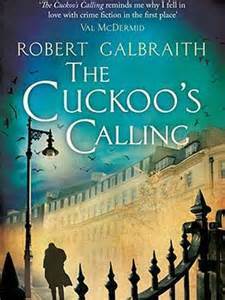 Rowling does have a terrific vocabulary and I liked the interplay between Strike and Robin, his temp secretary, in the story as well. I also liked the interplay between Strike and Robin. Rowling really fleshes out her characters, doesn’t she? They are people you really care about. The characters were well done in the novel. A good read all the way around.